CARTOON DUMP: Clinical depression, bad cartoons and Patton Oswalt. 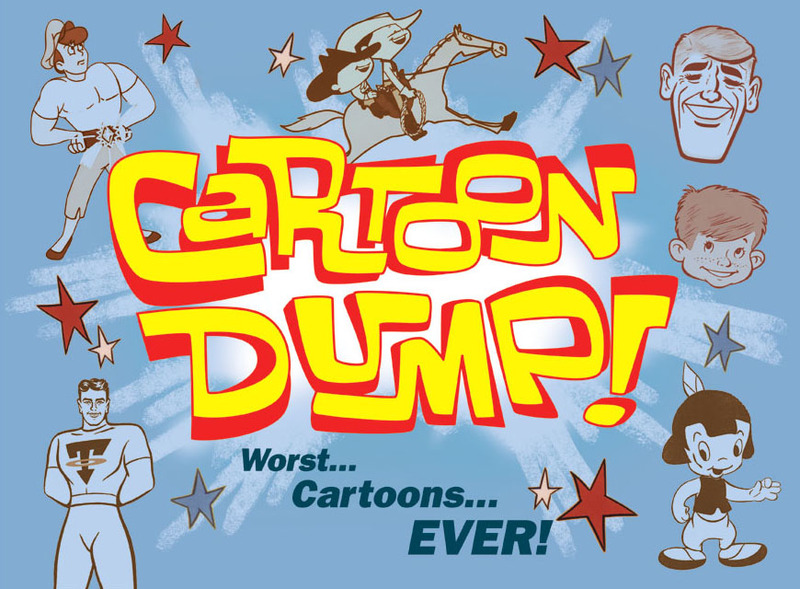 Cartoon Dump at the Steve Allen Theater on April 26th. Are moths flying out of your wallet? Does your life need a comedic kick in the pants? Have you finally finished mourning the cancellation of Mystery Science Theater 3000? If you answered OHMYGOD, YES! to any of the above questions, clear tonight’s calendar, scrounge up couch change, and put on your “TV’s Frank” t-shirt for Cartoon Dump, a night of seriously bad cartoons and seriously hilarious fun with Frank Conniff of the late lamented MST3K and tonight’s Special Guest Comedian Patton Oswalt of Ratatouille fame! In this very adult satire of local kids TV shows, creator/writer/co-producer Conniff and his cohort Erica Doering play highly dysfunctional, live action characters who hilariously air their dirty laundry while hawking dubious and inappropriate-for-children products. “Woodsy the Clinically Depressed Owl” and “Compost Brite” (Conniff and Doering respectively) and their guests also provide post-viewing commentary on a handful of so-awful-they’re-great cartoons from co-producer Jerry Beck’s prodigious library of cartoon fare. Not surprisingly, hilarity ensues. In addition to Coniff, Oswalt and the high laugh-to-minute ratio, the theater is intimate (which means get there early, slackers), the seats are comfy and the parking in back is free. That’s a lotta bang for your sawbuck. Captain Kangaroo would have a coronary; you’ll just laugh ’til your sides hurt.